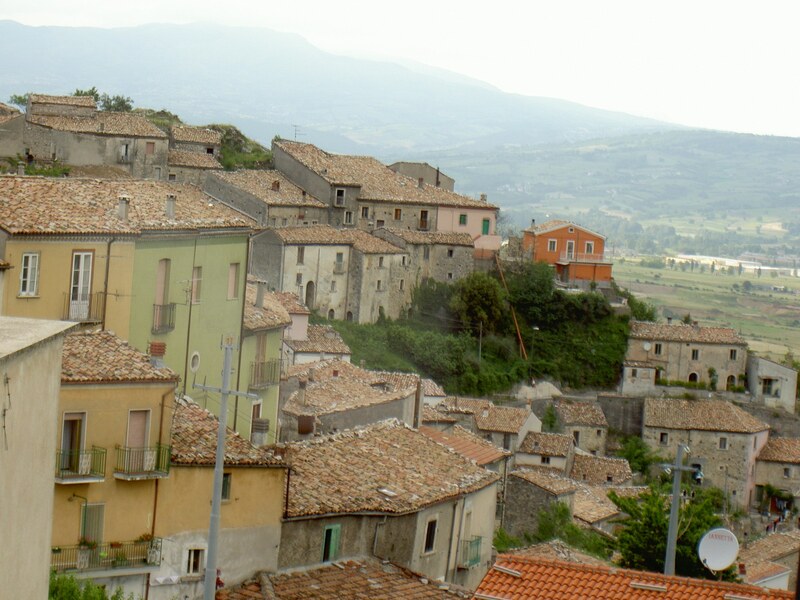 I love to introduce people to the pristine beauty of my mother’s native region of Molise in central south Italy. The inclusiveness and sense of culture and tradition of this special place is so dear to my heart. Those who have traveled here with me always return home knowing they are part of an extended Italian family. We stay at a historic country B&B in my mother’s village of Sepino, still filled with extended relatives and friends. The history of this remarkable place begins at the intersection of two roads of age-old significance: the tratturo (a tratturo is a cowpath or sheepway) that links the Abruzzo and Apulia regions. For millennia the shepherds transformed these dry roads into rivers of undulating wool as they moved their flocks across the pastures. Their livelihood depended on meeting at this junction to trade with local farmers. Here, through commerce and conversation, a community set down its first fragile roots. Over the course of our stay, we engage in conversations with the locals that lead us back through the centuries, discussing food, rituals, stories, legends, and art. We browse the markets to learn how to pick and blend local ingredients to reproduce the flavor of Italian regional specialties and create meals that satisfy palate and soul. We drink the strong cherry-scented local wine and quench our thirst with the pure mineral waters that spring out of Le Tre Fontane. We venture to explore Saepinum (the ancient settlement for which Sepino is justly famous), a rarity. It is an ancient Roman town that is preserved rather than embalmed, seldom but easily visited, alive with a handful of families whose forebears have worked this land since the beginning of time. They continue to tend fields bordered by ancient walls, raise their sheep, and inhabit houses that incorporate ancient stones, at times even older than Roman. Saepinum, among the country’s most evocative, unspoiled sites, was no Rome. It was a provincial city, modest in both scale and scope. Never grand, always accessible, Saepinum is the kind of place where it’s easy to add a few imaginary bricks to broken walls, fill the air with clapping hoofs and creaking carts, and believe – even if just for a moment – that you can go backward to the city’s glorious past. This autumn, I will return to Molise once again to lead a women’s tour in partnership with World Beyond Tours to explore and experience this truly unique Italian region. I can’t wait to stand shoulder to shoulder with the village women, my friends, on Sunday evening cooking Italian specialties to share, and to guide others to explore some of my favorite places. Subscribing is like having a secure spam-free inbox that webpages are delivered to. You will need an RSS Reader. We recommend Bloglines or Google Reader. When you click on the RSS symbol you can select a reader.